​﻿﻿Janine is a former editor in chief of a small publisher and former project manager with over fourteen years combined experience and has a bachelor’s degree in marketing. She’s always had a love affair with books﻿﻿ and the English language. Janine started her freelance career about seven years ago as an editor and manuscript consultant. As editor in chief, she oversaw editing and acquisitions for a small publishing house and managed a staff of freelance editors. Several of the books she’s worked on have since earned places on the New York Times and Amazon Best Sellers lists. Her positions as CEO and founding Diva for Write Divas keep her busy. She specializes in copy editing, content editing, and manuscript assessment. As CEO, she oversees Write Divas and ensures that authors receive the best service for their dollar and the quality of work provided is top-notch. She is the mother of one college student and one teenager and is married to her own personal Mr. Right. 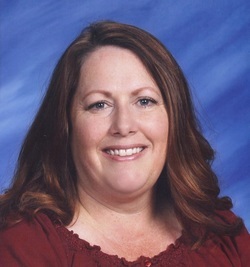 When she’s not editing, promoting or reading the latest hit, this former ski bum and volleyball enthusiast enjoys spending time with her family in Northern Utah. Those that know her personally will tell you that her sense of humor is very dry. Janine has worked with such authors as E.L. James, Ruth Clampett, Alix Nichols, Dwight Holing, Diane Dettmann, Alexandra Allred, Mary Whitney, Sherri Hayes, Gene Doucette, and Amy Lichtenhan. Jen is not only an editor; she’s also an accountant who ﻿has spent eighteen of the last twenty-one years working in the publishing industry. She has an associate’s degree in business, a bachelor’s degree in accounting and hopes to one day finish her MBA. Her love of reading and writing, combined with her incessant need for things to be grammatically correct, drew her to editing, and for the last four years, she’s been editing anything from contracts and press releases to short stories and full-length novels—first as a freelancer and then as staff editor for a small independent publisher. Currently, Jen is CFO and a founding Diva for Write Divas and specializes in manuscript evaluation and development, content editing, and copy editing. As CFO, she oversees all aspects of financial reporting, including budgeting and forecasting, to provide a stable environment for the author and staff alike. When she’s not crunching the numbers, Jen is a mom to two beautiful and talented girls. Married for sixteen years, she and her family live in the northern suburbs of New York City with one very loud, very fluffy cat and two beta fish. In between dance team practices and Girl Scout meetings, Jen likes to relax with a good book, catch a movie with some friends, and spend time with her large extended family. Jen has worked on books by such authors as Debra Anastasia, Helena Hunting, Q.T. Ruby, Alix Nichols, Alexandra Richland, Alexandra Allred, Lissa Bryan, T.M. Franklin, M.A. Stacie, and Mary Whitney. Lauren has been in the publishing and broadcasting field for over twelve years. She got her start editing and producing traffic news for local news affiliates in St. Louis, Missouri (NBC, CBS, and FOX). For the last five years, Lauren has worked as a freelance editor/manuscript advisor. Lauren was Managing Editor of Manuscript Development for the last year and a half at a small independent publisher. Currently, Lauren is a founding Diva with Write Divas and specializes in manuscript development, content editing, copy editing, marketing, and publicity. 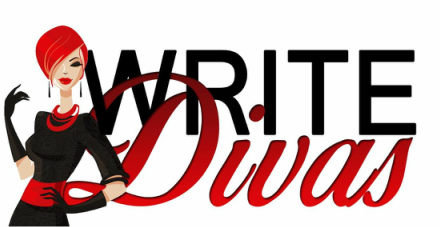 As COO and a founding Diva for Write Divas LLC, Lauren oversees the daily operations of staff and client projects to optimize efficiency and serve authors with the highest quality of work whether it is the edit of their manuscript or the promotion of their marketing campaign and blog tour. She is married and has two young daughters. When Lauren isn’t editing or reading manuscripts, she is busy playing with her kids and exploring her hometown of St. Louis with her family. She is an avid reader, writer, movie enthusiast, and generally a smartass. Lauren hopes to publish her first book within the year. Lauren has worked with such authors as Helena Hunting, Q.T. Ruby, Liv Morris, Alexandra Richland, Brian Sweany, M.A. Stacie, Alexandra Allred, C.L Parker, Suzy Duffy, Jennifer Schmidt, Emme Burton, ZB Heller, S. Simone Chavous, Katherine Stevens, Jennifer Locklear, and Alix Nichols.